A number of security checkpoints will be established on the roads that lead to the complex hosting the summit and in the vicinity of the hotels where the heads of state and government will be staying. Anarchist and left-wing groups are expected to hold mass protests throughout the city, many of which will lead to significant instances of violence. Major disruptions to traffic and business continuity will occur due to security provisions, protests, roadblocks, and public closures during the summit. Travel to Buenos Aires can continue while maintaining vigilance for an increase in violent crime and protests between November 30-December 1. Avoid all protests given the potential for violence. Between November 30 and December 1, Argentina will hold the 13th leaders’ summit of the Group of Twenty (G20). The meeting will be the first-ever G20 summit to be hosted in South America and the most high-profile multilateral event ever held in Argentina. The city will reportedly host 8,000 summit participants, including foreign leaders, ministers, politicians, and officials. Moreover, at least 2,500 journalists have been granted clearance to cover the event and around 1,000 people will work on the summit’s logistics. The leaders of 19 member nations, plus the European Union, and seven guest nations will meet in Buenos Aires’ Costa Salguero complex, located in the Palermo neighborhood, less than a kilometer away from Jorge Newbery International Airport (AEP). A number of security checkpoints will be established on the roads that lead to the complex and in the vicinity of the hotels where the heads of state and government will be staying. These include Arroyo Street, Avenida Dorrego, Avenida del Libertador, Avenida Alvear, Avenida Ramos Mejia, and Avenida Sarmiento. Moreover, a number of key roads and highways will be closed off to the public for the duration of the summit. These include Avenida 9 de Julio, Avenida Figueroa Alcorta, and Illia and Lugones highways. Subway and other rail services will not operate during the summit. A bolstered security presence has also been confirmed in the downtown area, as well as the neighborhoods of Puerto Madero, Recoleta, and Retiro, where a number of dignitaries will be staying. Buenos Aires’ Aeroparque Jorge Newbery (AEP) airport and El Palomar Airport (EPA), the city’s recently inaugurated low-cost airport, will be closed to commercial and civil flights between November 29 and December 1. Ezeiza International Airport (EZE), Argentina’s main international airport, is expected to remain open, though its service will be affected by the summit. Maritime restrictions will be in place between November 29 and December 2 when the commercial port of Buenos Aires will suspend operations. All recreational sailing activities in the Rio de la Plata, as well as parts of the nearby Tigre Delta, will be banned for the duration of the summit. That said, passenger ferry services operating to and from the Buquebus Terminal in the Puerto Madero neighborhood are not slated to be affected. Over 20,000 police personnel, plus an undisclosed number of military personnel, will be participating in security operations associated with the summit. November 30 will be declared a public holiday in the Buenos Aires metropolitan area in order to ease foot and vehicular traffic. A counter-summit with prominent speakers such as former Argentinian President Cristina Kirchner, former Brazilian President Dilma Rousseff, former Uruguayan President Jose Mujica, the leader of the Spanish far-left Podemos party, Pablo Iglesias, and the leader of the far-left La France Insoumise party, Jean-Luc Melenchon, took place in Buenos Aires on November 19-23, the week before the G20 summit. A number of unions, local and international anarchist groups, and far-left groups associated with former President Cristina Kirchner have announced their intention to hold protests against not only the G20 Summit itself, but also against the presence of International Monetary Fund (IMF) head Christine Lagarde, UK Prime Minister Theresa May, and US President Donald Trump. According to reports citing Argentinian security officials, at least 33 protests are planned to take place throughout Buenos Aires during the summit, with over 100 local and international groups participating. The exact time and location of many protests have not been disclosed as of the time of writing and other smaller or unannounced protests are expected to occur. On November 14, two attempted pipe bomb attacks were recorded in Buenos Aires. The first took place in the Belgrano neighborhood, where one individual was reportedly arrested after throwing a pipe bomb into the house of a judge who is currently investigating former President Cristina Kirchner in a number of high-profile corruption cases. Authorities reportedly defused it shortly afterward. The second attempt took place on the same day in the Recoleta neighborhood cemetery, where two individuals were wounded and subsequently arrested when a pipe bomb they were placing in the mausoleum of a controversial historical figure exploded unintentionally. On November 15, ten individuals were arrested in a squatter house used by anarchists in Pavon Street, San Cristobal neighborhood over the November 14 attempted pipe bomb attacks. The 2018 Buenos Aires G20 summit comes amid a marked deterioration in the economic situation in Argentina over the last six months, partly due to a costly drought in the country’s farm belt and a sharp increase in the price of financing for emerging countries, whose economies have some characteristics of a developed economy, but do not satisfy all of the standards. This situation has fostered a significant devaluation of the Argentinian Peso, which has become one of the world’s worst-performing currencies in 2018. This situation, in turn, exacerbated the country’s inflation, which is expected to reach a rate of 45 percent in 2018. This financial situation has prompted President Macri to request a USD 57 billion standby loan from the IMF and accept the required cuts to public spending. As such, and considering that the IMF is widely disliked in the country, perceived by many to be one of the main causes of the last economic collapse of Argentina in 2001, President Macri’s approval rating fell from over 45 percent to 35 percent in November. With regards to these developments, social movements and labor unions, including Argentina’s largest union, the Confederacion General del Trabajo (CGT), have regularly taken to the streets to protest, with participation often reaching into the high thousands. 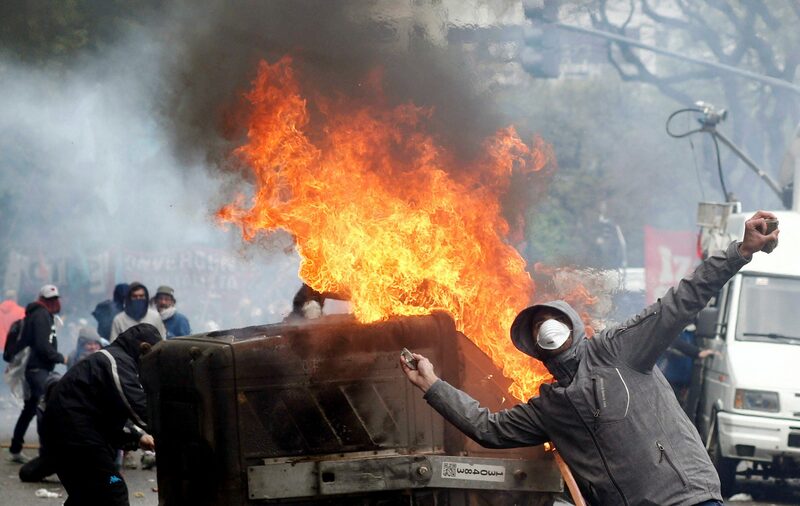 Violent protests by the anti-globalization movement, a catch-all social movement critical of free trade and consumer capitalism, have become a common feature of G20 & G7-8 summits since the mid-1990s. Multilateral summits are perceived by supporters of the anti-globalization movement as a powerful symbol of the shortcomings of the current system of global governance. These summits also provide a valuable opportunity for the movement’s supporters to make use of the public and international spotlight and bring further attention to their cause. This situation is evidenced by the fact that widespread unrest has been witnessed in several multilateral summits, such as the 1999 World Trade Organization (WTO) Seattle summit, which is perceived as a pivotal moment in the formation and consolidation of the anti-globalization protest movement. 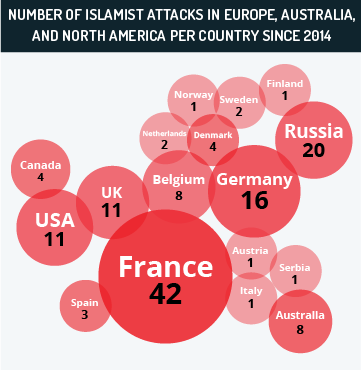 Widespread unrest was also witnessed in the 2001 Genoa G8 Summit, the 2010 G20 Toronto summit, the 2011 G20 Cannes summit, and, most recently, the 2017 G20 Hamburg summit, which recorded a level of unrest rarely seen in modern Germany. Considering that the Illia and Lugones highways, as well as Avenida Figueroa Alcorta, will all be closed to the general public, widespread traffic disruptions will likely occur in the Belgrano, Nunez, Palermo, and Retiro neighborhoods. Although in Belgrano and Nunez only areas adjacent to the closed roads will likely be affected by the summit, in Palermo, Recoleta, and Retiro more areas are likely to be affected besides those in the immediate vicinity of the highways and Avenida Figueroa Alcorta. 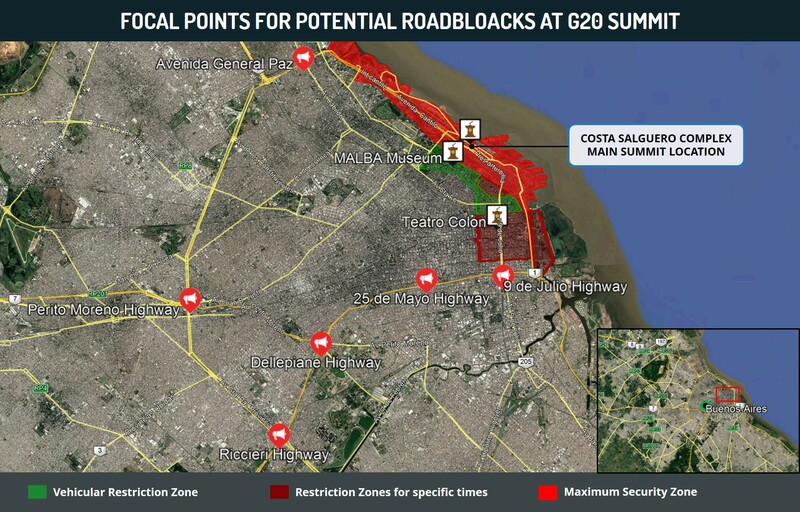 In Palermo, Recoleta, and Retiro, Avenida del Libertador is likely to be at least partially blocked to traffic given that is one of the major routes that link the Costal Salguero complex, where the summit will take place, with the hotel areas where several dignitaries will be staying. Moreover, in Palermo, Puerto Madero, Recoleta, and Retiro, locations in the vicinity of large upscale hotels are liable to be closed to both vehicular and foot traffic, given the likelihood of summit participants staying there. Additionally, considering that unconfirmed reports claim that a gala dinner with all of the attending leaders will take place at Teatro Colon, much of the downtown area of Buenos Aires is likely to be closed off to non-residents during the evening hours on November 30. Taking into account that strikes disrupting commercial aviation have intensified in recent months, the possibility that a strike disrupting air trafficking control services takes place during the summit cannot be ruled out. On November 12, the head of the Asociacion de Pilotos de Lineas Aereas (APLA) union claimed that the union may carry out a 72-hour strike during the summit, leaving open the possibility that other unions in the air sector could join an APLA-led strike if the government ignores their requests over labor-related issues. Nonetheless, government sources have confirmed that, if this were the case, personnel from the Fuerza Aerea Argentina (FAA) could take control of air trafficking services if necessary. Aerolineas Argentinas workers affiliated to aviation workers’ unions announced their intent to hold a 24-hour strike on November 26, although over unrelated issues. 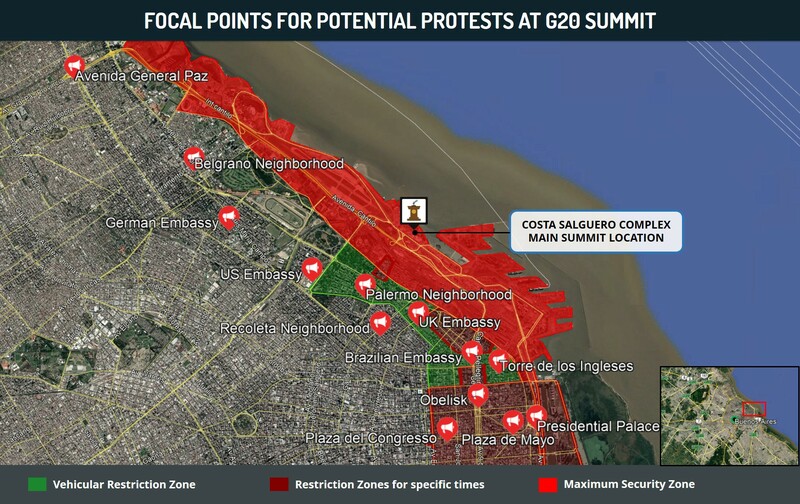 Considering the expected number of protesting groups, coupled with their organizing capacity and sizeable support bases, particularly the unions and far-left groups associated with Cristina Kirchner, it is likely that the turnout for the anti-G20 protests will be in the mid-to-high tens of thousands for the two-day summit. Given that protestors will not be able to reach the premises of the summit, it is likely that the protests will take place in traditional points for such protests, including Plaza del Congresos, Plaza de Mayo, outside the Presidential Palace, and near the Obelisk. Protests are also likely to take place outside the Brazilian, German, UK, and US embassies. If the areas in the vicinity of the aforementioned locales remain closed off to the general public, as unconfirmed reports suggest, these protests will likely be moved to nearby areas outside of the no-go zones. As such, neighboring districts that would have only experienced disruptions, such as Belgrano, Palermo, and parts of Recoleta, will likely see increased protests and unrest. Considering precedent of the previous G20 in Hamburg, coupled with the heightened anti-government sentiment within sectors of Argentinian society, there is a high potential for localized acts of violence, particularly vandalism against private businesses associated with Western multinationals. Due to the high-profile nature of the event, if the protests turn violent, a crackdown by security forces is likely, including the use of tear gas and other forcible dispersal measures, such as rubber bullets. 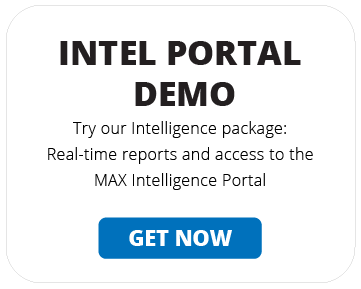 This assessment is underscored by the police reportedly forming a “special command center” to jointly monitor the events with the military and the government, placing all security forces directly under the command of the Ministry of Defense for the duration of the summit, something unseen since the return of democracy to the country in 1983. There is also an elevated risk of protesters mounting roadblocks at the various entry points to the city that will not be closed off by authorities, such as 9 de Julio highway, 25 de Mayo highway, Avenida General Paz, Dellepiane highway, Perito Moreno highway, and Riccieri In such instances, security forces are liable to carry out mass arrests and forcibly disperse protesters. In light of the previous IED attempts carried out by various anarchist elements, the potential remains that additional groups will attempt to detonate bombs during the summit. However, given the known capabilities of these groups and the unprecedented levels of security in the city, it is unlikely that any such explosions will affect the summit or cause significant damage or injury. Rather, the likelihood remains that they will either be neutralized prior to explosion or cause low-level superficial damage, akin to vandalism. 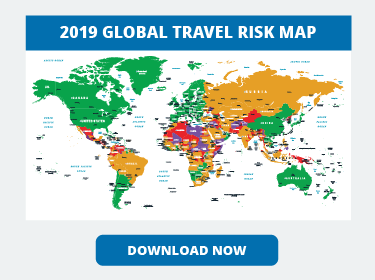 Given the number of foreign nationals expected to arrive in the city, coupled with the fact that Buenos Aires’ security forces will likely be overstretched, an uptick in opportunistic crime is liable during the summit and the following days. Tourist neighborhoods such as La Boca, Palermo Soho, the area around the Recoleta cemetery, and San Telmo are likely to be the main areas affected by such crime. Given that this will be one of the most high-profile multilateral events ever held in Argentina, if properly organized, the summit has the potential to improve President Macri’s public image, and further cement the perception of a structural change in Argentinian foreign policy since the Kirchner era. As such, the G20 summit has the potential to help position the country as a Western facing regional leader in South America, particularly considering the ongoing political situation in Brazil and the reputation of President-elect Jair Bolsonaro. Moreover, given that Argentina’s main current source of external financing is the IMF, and considering the clout that Western powers have over the IMF’s decision-making process, a properly organized G20 Summit could have a positive effect regarding Argentina’s political capital in future fiscal negotiations. Travel to Buenos Aires can continue while maintaining vigilance for an increase in violent crime and protests between November 30-December 1. Avoid all protests given the potential for violence. Avoid nonessential travel to the Belgrano, Palermo, Puerto Madero, Recoleta, and Retiro neighborhoods, as well as around the Brazilian, Germany, UK, and US Embassies in the event of protests. Avoid nonessential travel via Avenida General Paz, Dellepiane Highway, Perito Moreno Highway, Riccieri Highway, 9 de Julio Highway, and 25 de Mayo Highway in the event of protests. Allot for disruptions to pedestrian and vehicular traffic in Belgrano, Palermo, Puerto Madero, Recoleta, and Retiro neighborhoods, due to the slated road closures and the possibility of security checkpoints. Foreign nationals and visitors are advised to increase vigilance against possible crime in light of the potential for attacks by criminal networks targeting foreigners and high profile individuals. If confronted by muggers, it is advised to cooperate fully and not engage in any behavior that could raise tensions and lead to violence. Travelers should avoid exposing jewelry or other items that may make them a target for theft. Store your valuables in your hotel room safe. Refrain from divulging travel itinerary information to strangers. As a general security precaution, avoid revealing to strangers your position or affiliation with foreign-based firms, as your response could attract a negative reaction from locals. Take necessary precautions to ensure business continuity during the event, given that various government offices and other public services may experience disruptions. Allot extra time for travel, due to likely traffic and public transportation congestion resulting from the summit. Seek alternative means of transportation. 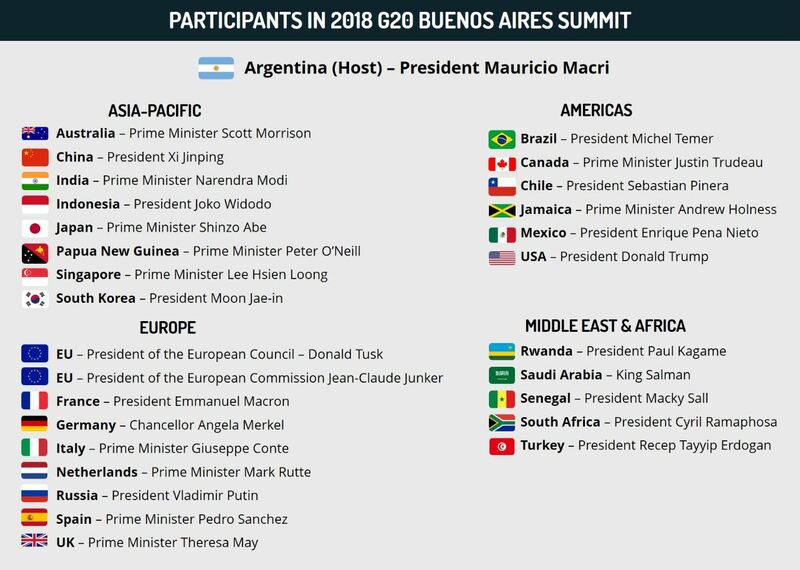 Hey Buddy!, I found this information for you: "G20 Buenos Aires summit 2018 – November 30-December 1 – Argentina Special Analysis". 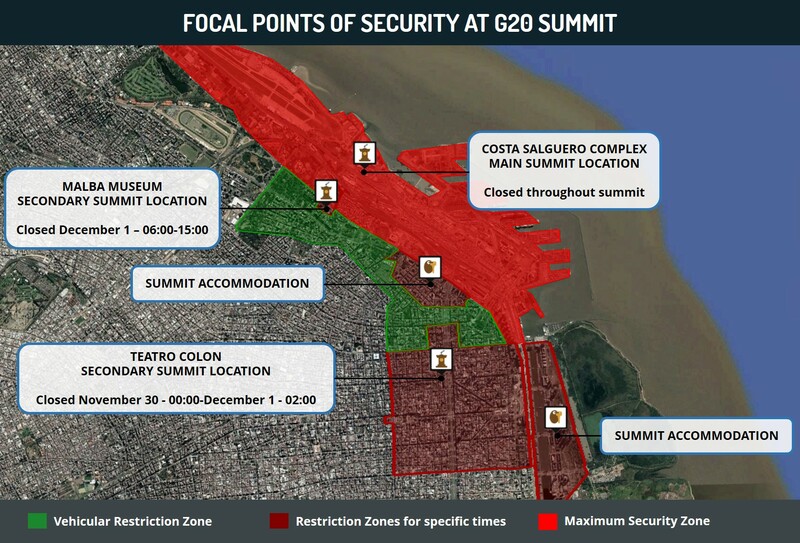 Here is the website link: https://www.max-security.com/security-blog/g20-buenos-aires-summit-2018-argentina-special-analysis/. Thank you.